I love walking, exploring and discovering new places to visit, eat and see. London is so big that there are so many places that I haven't visited, despite of the number of years I have been now living here. 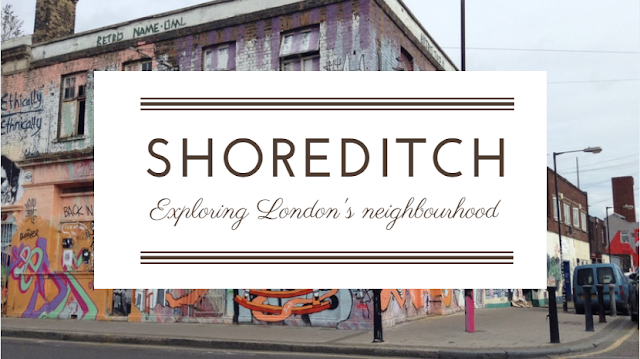 However, I'd like to share some of my insights and tips on one of my favourite areas in London - Shoreditch. Because my university was here, I used to be around this area often and I have been living around this area too. It is a vibrant and inspirational area in East London. I especially love around Shoreditch High Street and Brick Lane. Shoreditch area is big by itself. It is great for vintage shopping, many markets, coffee shops, independent boutiques or just to get some fashion and artsy vibes from small galleries, street style or street art. Shoreditch is definitely one of my favourite areas in London to hang out! Have you discovered any quirky and interesting places around here? Why not share it with us? Where to get a drink and maybe have some fun?